George Daniels Professor of Scientific Instrumentation and Dean of the City Graduate School, Professor Ken Grattan, has been elected to serve as President of the International Measurement Confederation (IMEKO) for the period 2015-2018. Dean of the City Graduate School and George Daniels Professor of Scientific Instrumentation Professor Ken Grattan, has been elected to serve as President of the International Measurement Confederation (IMEKO) for the period 2015-2018. Professor Grattan was elected by IMEKO's General Council at its recent meeting in Italy. As President-elect, he also chairs the IMEKO Technical Board which primarily comprises the chairs of the 24 subject-specific technical committees. He will also be President for the 2018 IMEKO World Congress, being held in the UK for the first time in over 40 years. "I am delighted to have been elected to serve as President of IMEKO. The field of measurement, instrumentation, sensing and control has undergone rapid expansion in recent times. It forms a key element of the 'Internet of things', links closely to wireless and advanced communications technologies and forms part of a multi-billion pound industry in the UK alone, which employs many of City's graduates"
Founded in 1958, IMEKO is a federation of 38 member organizations from across the world who are individually concerned with the advancement of measurement technology. 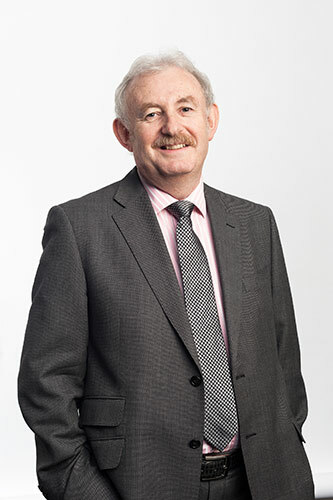 The UK member organization is the Institute of Measurement & Control, one of City's accrediting professional bodies, of which Professor Grattan was President in 2000. He is a Fellow of the Royal Academy of Engineering and holds one of their research chairs at City. IMEKO has consultative status with UNESCO and UNIDO and its key objectives are the promotion of international interchange of scientific and technical information in the field of measurement and instrumentation and the enhancement of international co-operation among scientists and engineers from research and industry.